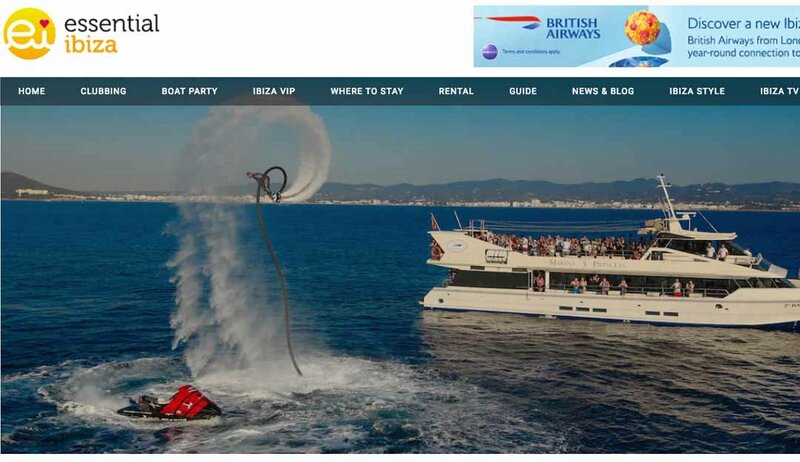 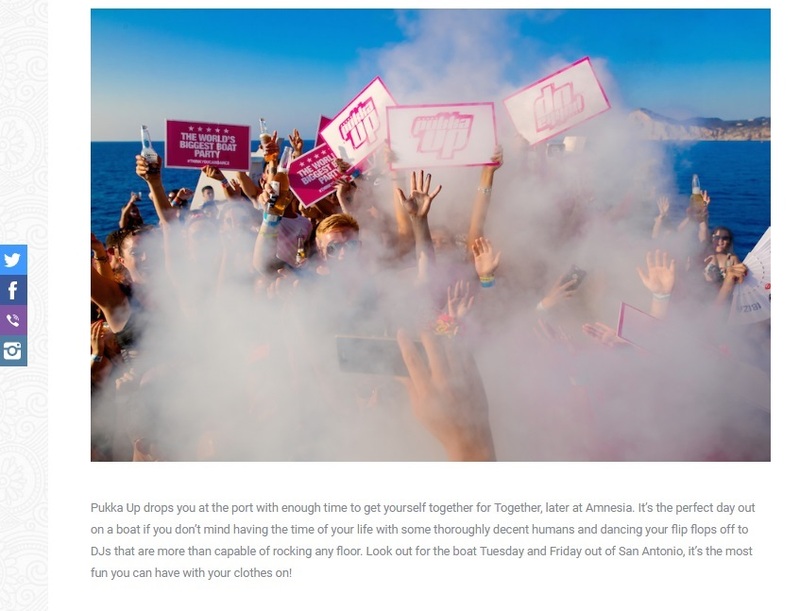 Leading Ibiza club site, Essential Ibiza, set sail with Pukka Up on its Sunset Boat Party launch in Ibiza earlier this month. 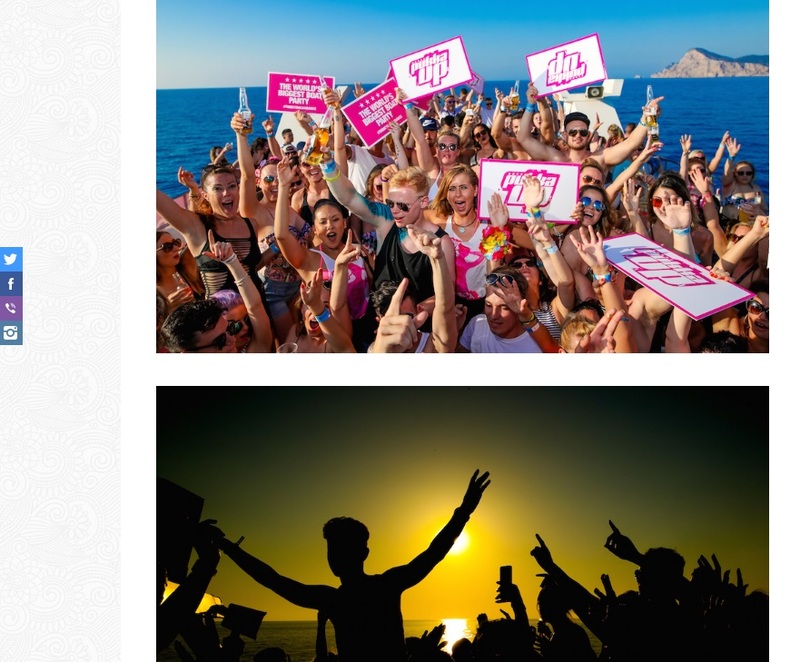 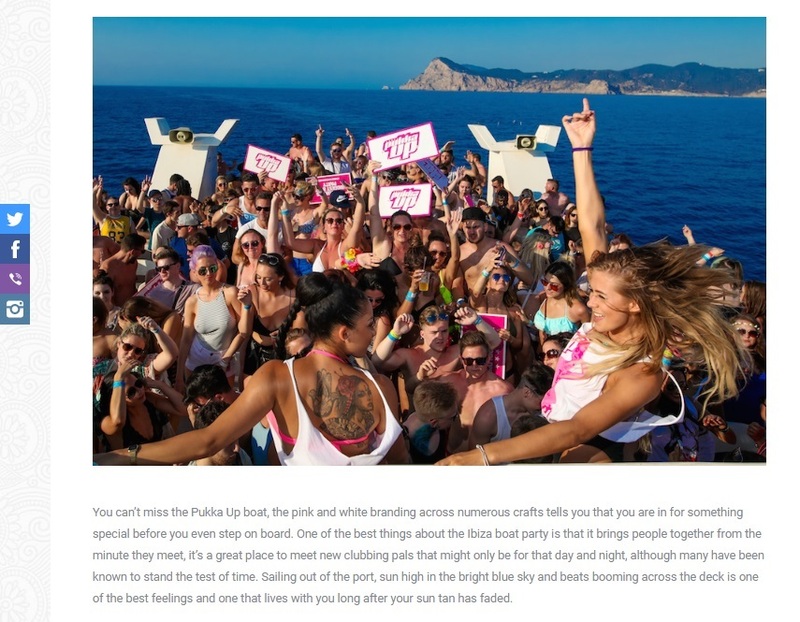 The boats, which sail every Tuesday and Friday from San Antonio Marina, received nothing short of a rave review, proving why Pukka Up remains the world’s biggest and longest running boat party in Ibiza. 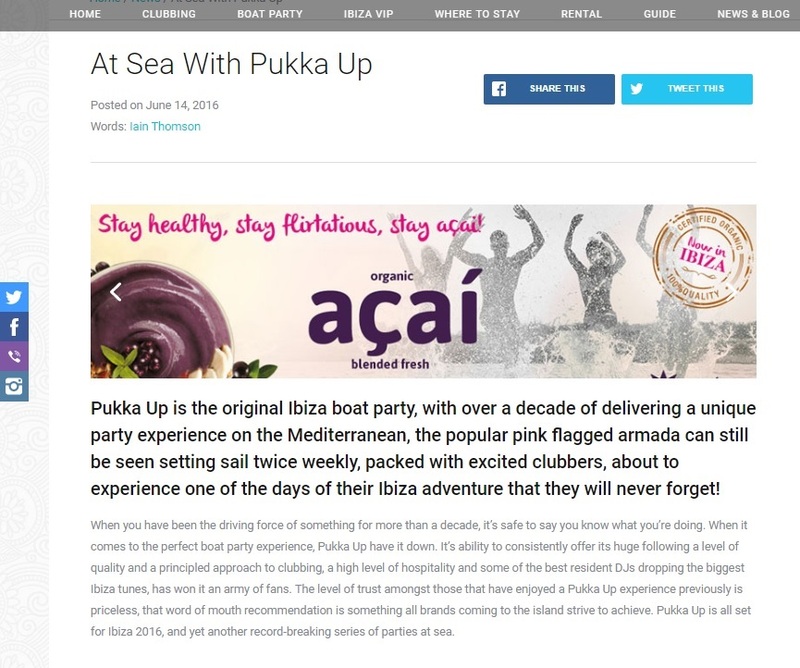 Sliding Doors has handled the press for Pukka Up since 2013 and continues year-on-year to deliver high impact and positive results. 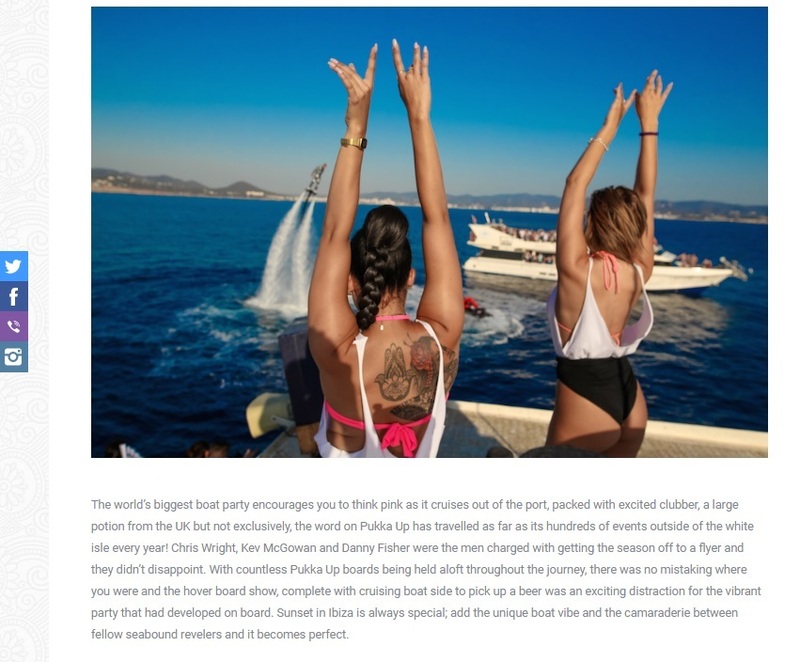 Read the full review here or check out the feature below.